The earliest flowers of spring? Maybe I should say, "late-winter flowers". I spotted some brave pioneers of spring while visiting an area few hours south of home. I snapped some photos of the flowers with my iPhone. 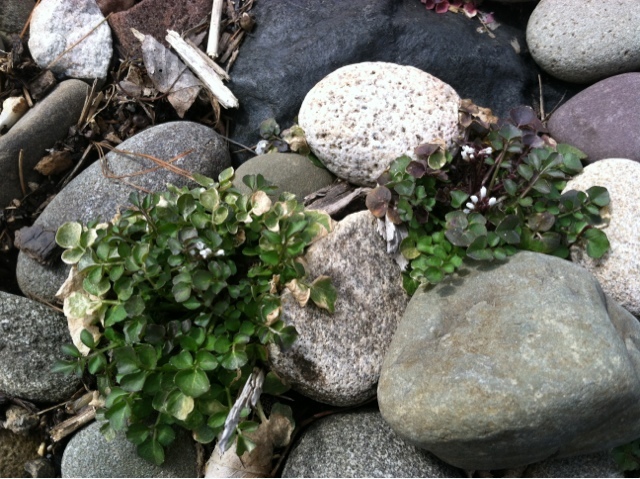 When I returned home, I looked around our yard and found that bittercress was flowering around here despite some remaining snow. 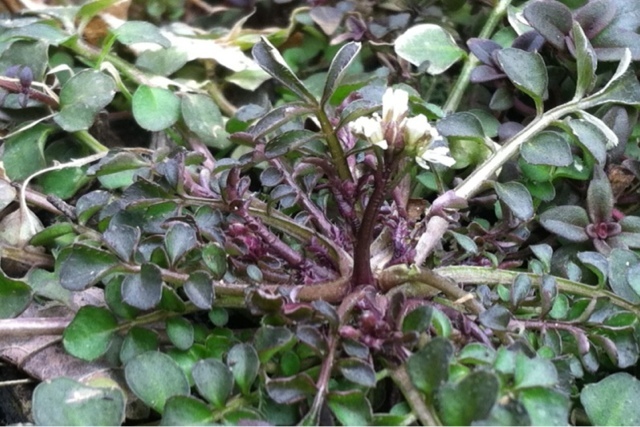 These evergreen plants with tiny white flowers are in the mustard family. 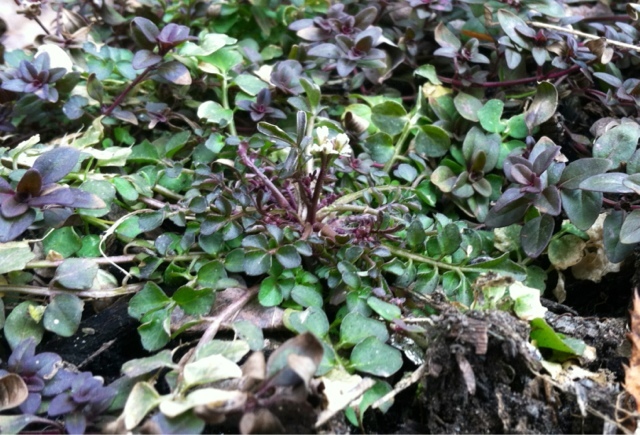 They are commonly called bittercress. 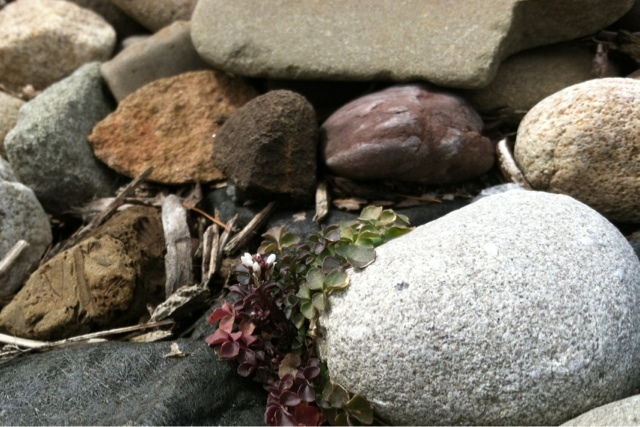 Some very similar plants are called rock cress. 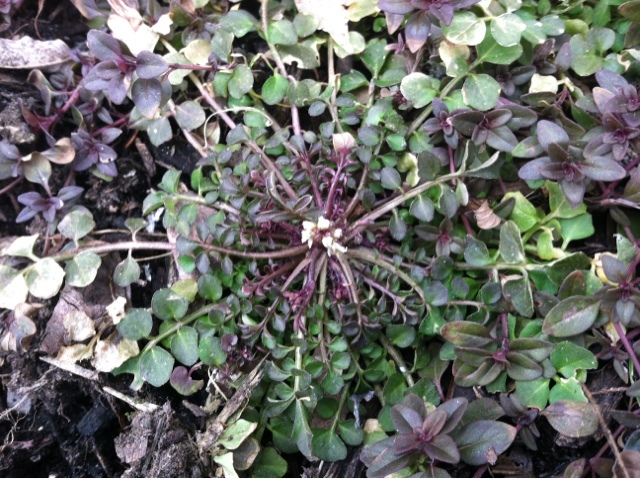 Here are some photos of bittercress. The first few photos are from my home area where winter is still hanging on. 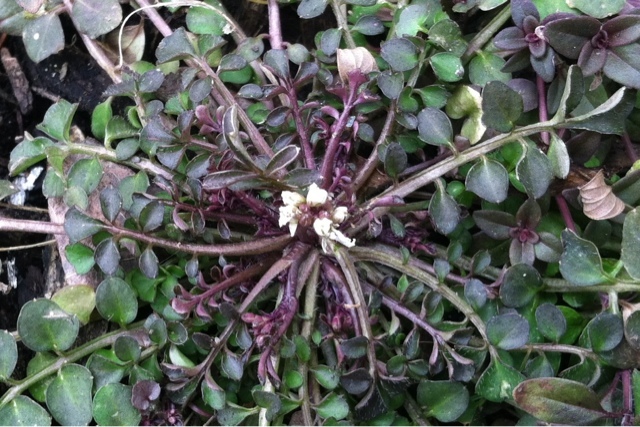 The pictures show the bittercress bravely flowering alongside our house amid needle-ice. 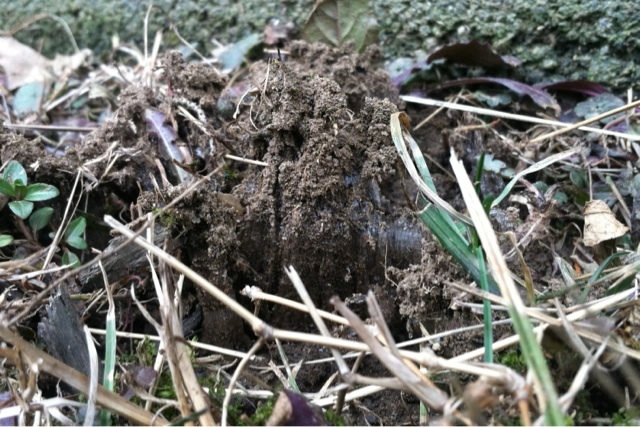 The other photos of the bittercress (growing in gravel) are from south of home a few hours where crocuses and daffodils are just beginning to poke up blades of green. We just yearn to see those first sprigs of green. They are a feast for the eyes. We're not there yet in Nova Scotia.